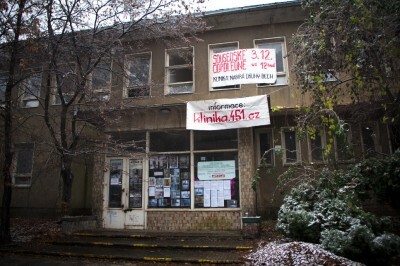 Prague: Autonomous centre Klinika calls for support! As we already informed you in previous article, the squatted autonomous centre Klinika (situated in former clinic owned by state, now in decay and without any real plans how to revive it) in Prague was evicted on 9th of December, despite having support from neighbourhood, people from wider cultural scene and even from council of local municipality, Žižkov. The struggle continues and Klinika needs any kind of support more than before. 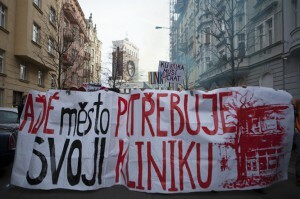 Prague: Klinika, another city is possible! If you have ever visited Prague, you may have spent time in the district of Žižkov. It is well known for being one of the foremost centers for alternative culture in the country. So you would think that a neighborhood with such an important role would be a place thriving with unrestricted art movements and an anything-goes cultural norm. Unfortunately, that is not the current situation in modern day Žižkov. 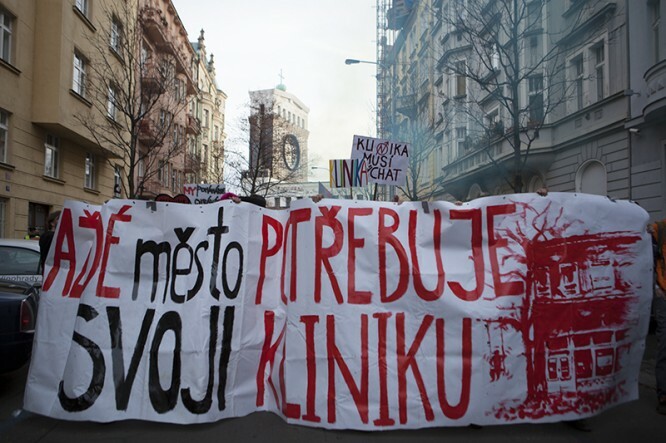 This can be seen no better than in the current situation of the Autonomous Social Centre KLIniKA.